In addition to building bespoke web applications, I also provide standard websites, with entirely flexible levels of customisation and features, from simple fixed content to e-commerce sites. So if you're looking for a functionally simple – yet useful and attractive – “brochure” website, I can provide you with a full one-stop service, including domain names and web hosting. 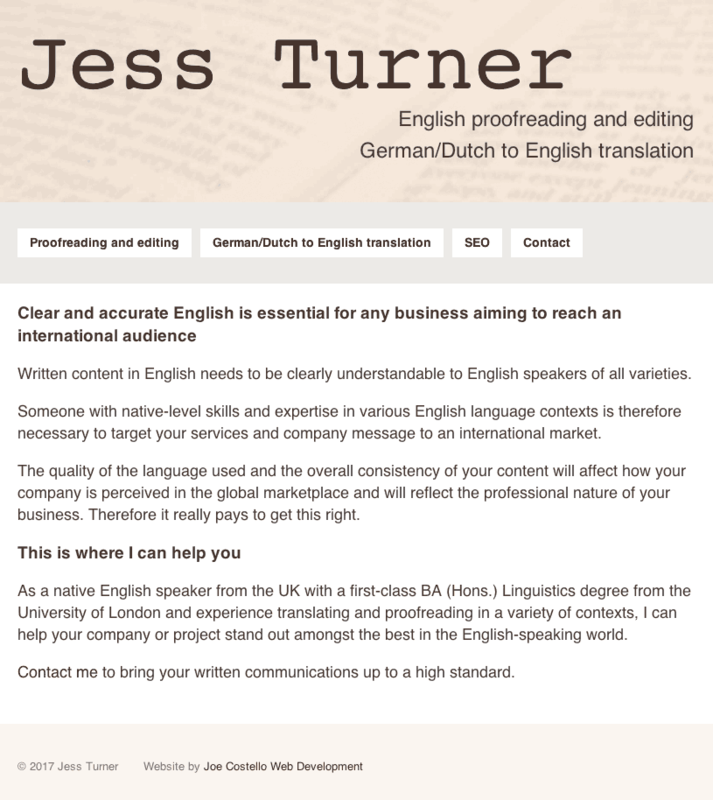 Jess Turner needed a simple site which would explain the language services she offers to potential clients. Customers who require such language services already know what they need, so the hard sell isn't required! So Jess asked for a simple, factual and informative site. The e-commerce functionality remains in place exactly as Simply Washing are familiar with. 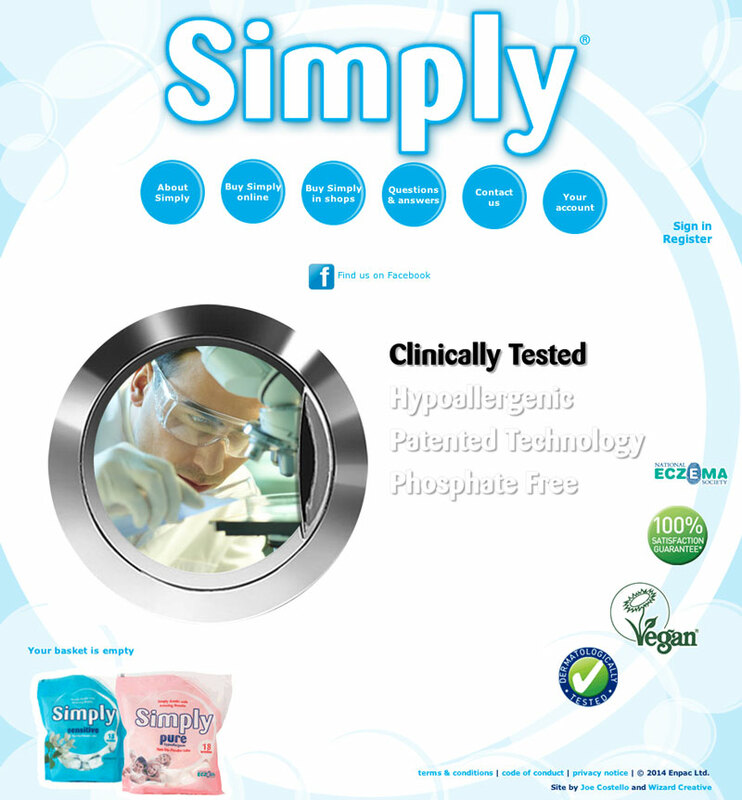 Working with Simply’s chosen graphic designer, I completely overhauled the site’s appearance so it would match their new logo and packaging design. No changes to the back-end system were required, and I was able to achieve the design features that the client wanted. 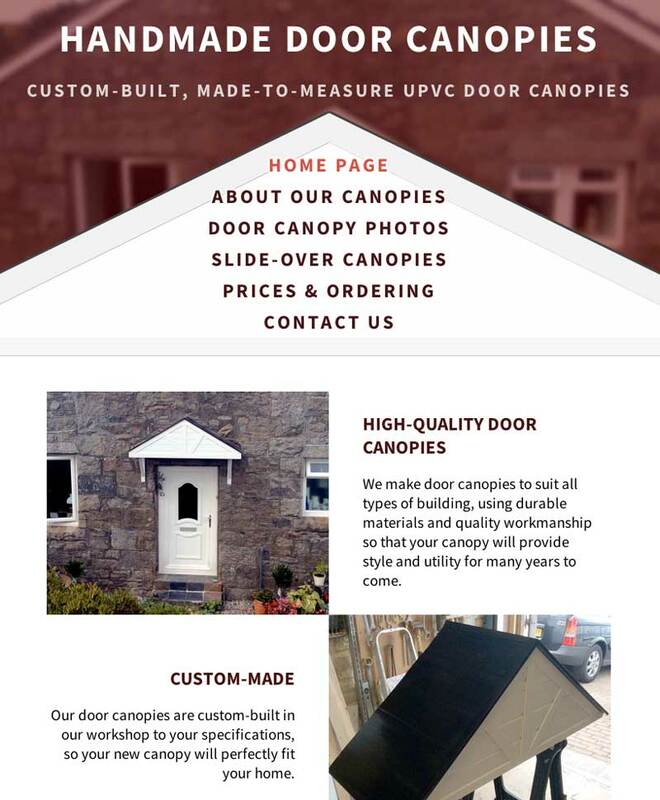 This small business sells custom-built door canopies across the UK, and needed a site which would showcase their products to potential customers. Photographs and business information were provided by the customer, and I sorted the information into relevant pages, using SEO techniques to help drive visitors to the site via search engines. The site provides potential customers with lots of photographs of previous work, and with enough information to enable them to request a quote. So if you'd like to discuss creating a website, whether it is a simple advertising site or something more complex, please get in touch.